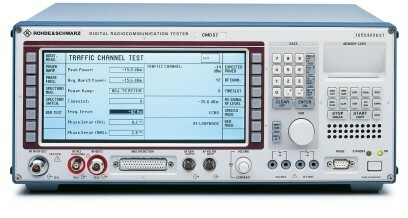 The Rohde & Schwarz CMD60 is a powerful digital radio communication tester that can address the diverse requirements of varied applications in production and manufacturing units, quality testing facilities, and R&D centers. A refurbished Rohde & Schwarz CMD60 is ideally suited for today’s demanding testing needs because it consistently and promptly delivers accurate results without costing a fortune to install and operate. A discussion of the unique features of the CMD60 will help you appreciate its indispensability. 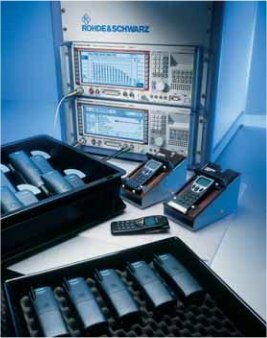 The Rohde & Schwarz CMD60 packs in a whole range of testing capabilities within a single compact unit. This DECT tester allows you to eliminate the need to install an array of conventional testing equipment and therefore save more money. For instance, the CMD60 can carry out accurate stress and regression tests, audio tests, and perform in-depth measurements based on ETSI Rec. CTR06. The CMD60 packs in additional degrees of versatility with its ability to supply a large number of DECT-specific signals like bit clock and TX/RX enable to let you wield more precise control over the module you may be testing. The versatility of the Rohde & Schwarz CMD60 testing solution also stems from its ability to provide two analog RF outputs. The device also makes available a secondary wideband input/output that can be used across a wide range of frequency, from 100 MHz to 2.5 GHz. However, the greatest appeal of the Rohde & Schwarz CMD60 probably lies in its ability to be controlled from a remote location through a powerful and easy-to-use IEC/IEEE-bus interface and a plethora of SCPI-compatible commands. This enables you or your technicians carry out monitoring tasks from the comforts of the office and do way with the need to travel around extensively. More convenience comes in the form of a large and high-resolution LCD screen and an ergonomic and intuitive user interface that can be easily mastered even by someone who has not worked with a digital radio communication testing equipment before. More information on the Standard Commands for Programmable Instruments (SCPI) can be found here. The Rohde & Schwarz CMD60 has been designed to meet the demanding testing needs of today’s world of wireless communication where lightning fast speed is the key to surviving and surpassing competition. For instance, the DECT-specific timing signals, like RS485 and frame clock, provided by the CMD60, can be routed to other CMD devices so that you can test several PPs in a production line at the same time and without interference. The Rohde & Schwarz CMD60 also allows you to use up to six TDMA slots to carry out BER measurements quickly. This feature lets you effortlessly operate even in busy DECT environments with consistently accurate results. Information on Bit Error Rates (BER) Can be found here. The Rohde & Schwarz CMD60 embodies power, precision, consistency, and stability. Its many unique and powerful features make it an indispensable tool for any testing environment. A refurbished unit opens the door for you to reap the above-mentioned benefits of the CMD60 without paying list price.